FEATool is a fully integrated multiphysics modeling and engineering simulation environment for Matlab and Octave, featuring built-in CAD and geometry tools, preprocessing and grid generation, solvers, and postprocessing and visualization. 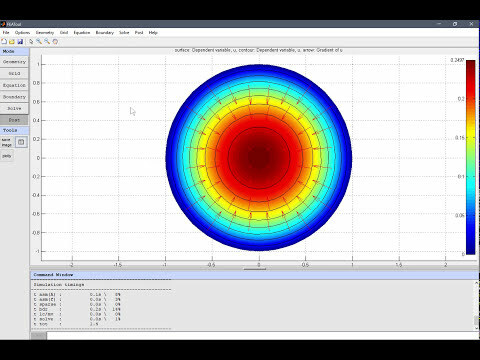 FEATool is completely written in Octave and Matlab m-script source code, and is fully documented with over 50 model examples and tutorials. Moreover, the Matlab FEM function library is fully documented, open, and designed to be easy to use. This approach makes FEATool extensible, adaptable, and customizable to each users needs. - Geometry modeling in 1D, 2D, and 3D. - Automatic unstructured grid generation on complex geometries with triangular and tetrahedral cells. - Stationary and time-dependent linear and non-linear solvers. subdomain integration, and also sharing data on-line with Plotly. Triangle) and postprocessing tools directly callable from the GUI. 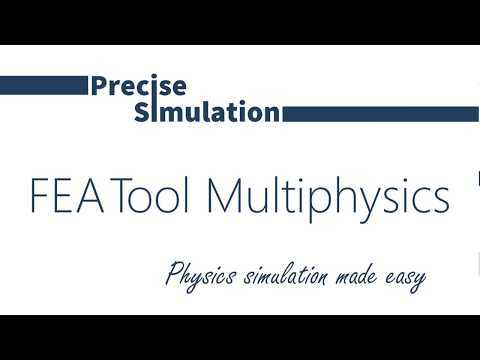 FEATool Multiphysics (sometimes referred to as FEATool) was added by featool in Mar 2017 and the latest update was made in Apr 2018. The list of alternatives was updated Dec 2018 There is a history of all activites on FEATool Multiphysics in our Activity Log. It's possible to update the information on FEATool Multiphysics or report it as discontinued, duplicated or spam. Alternatives to FEATool Multiphysics for Windows, Linux, Mac, Web, Software as a Service (SaaS) and more. Filter by license to discover only free or Open Source alternatives. This list contains a total of 25+ apps similar to FEATool Multiphysics. No reviews yet for FEATool Multiphysics, want to be first? Maybe you want to be the first to submit a comment about FEATool Multiphysics? Just click the button up to your right!